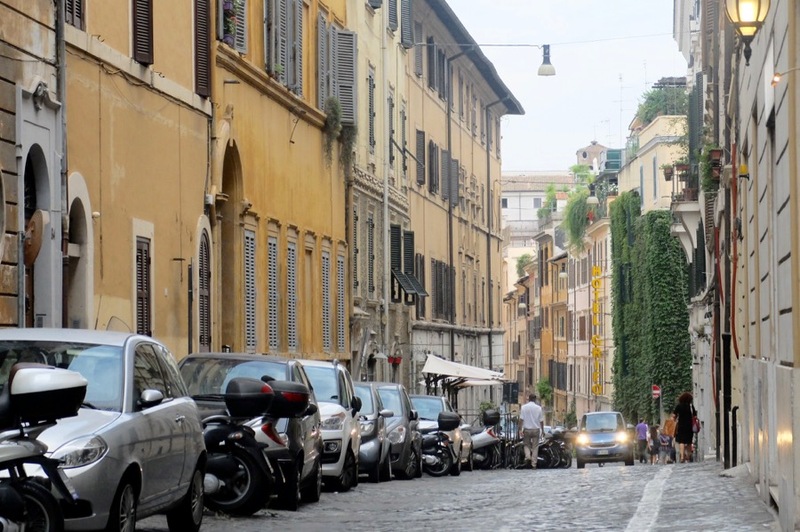 On my many return trips to Rome, I’ve been on the hunt to discover it neighborhood and neighborhood. It’s vast size requires that you have somewhat of a plan, the blisters on the bottom of my feet and well-worn boot heels are physical war-wounds from past trips where I would just “walk aimlessly” from A to B. Sounds like the plot to “Roman Holiday” but only if your idea of a vacation comes with multiple trips to the Pharmacy and open blisters. Truth hurts. Instead I wanted a chance to get a little deeper, as much as one can in a short time. 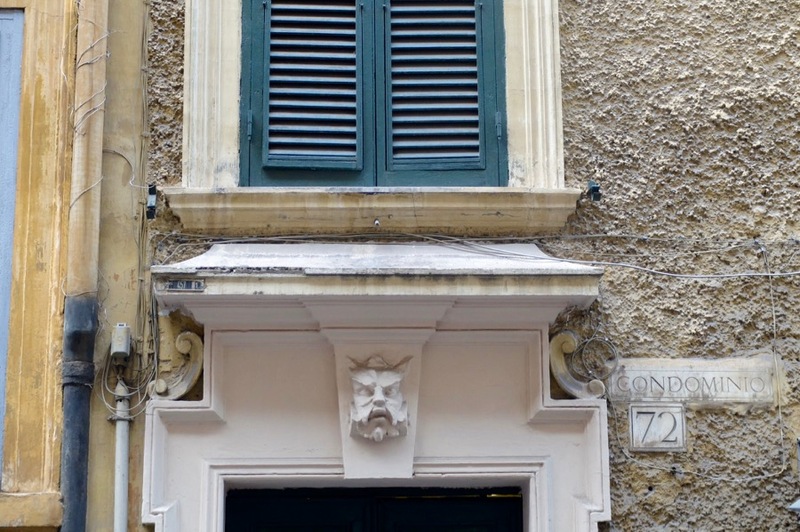 Monti was a natural choice, a once-working class central quarter in Rome set between Via Cavour and Via Nazionale, one of the city’s first and oldest districts. Formally called “Subarea” during Roman times, it used to be home to a cast of sketchy characters. 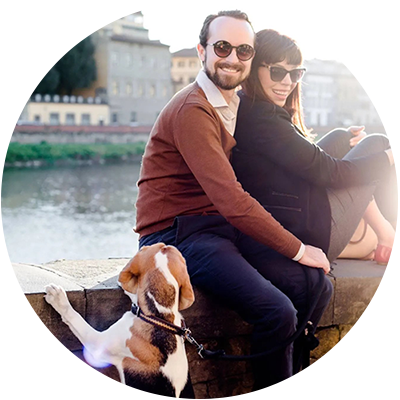 However nowadays, like Florence’s San Niccolo or Santo Spirito, it’s decidedly more hip than its once humble days. A little bohemian, Monti has a bit of an edge, and while I am still on a “second date” sort of basis with this Rioni, I love it already. Too soon? Only time will tell. In fact, if you are a Monti native or expert, let me know, share some of your favorite haunts in the comments section. 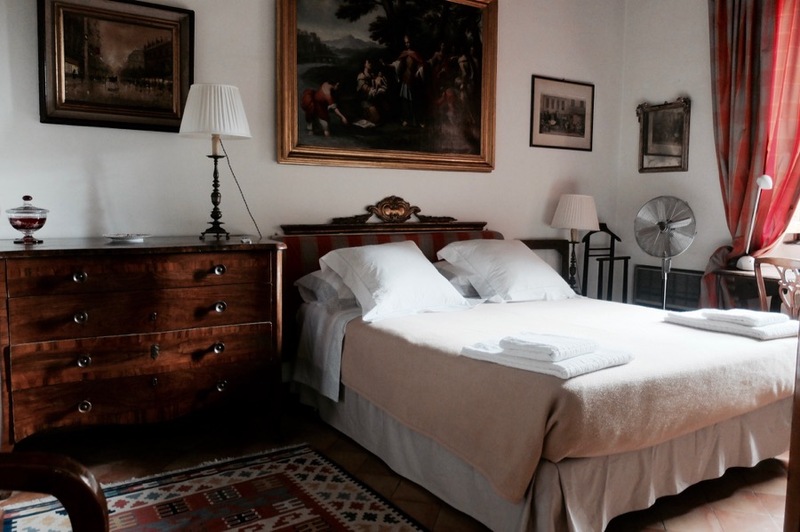 The best part of staying here is the central proximity to sites such as the Roman Forum and Colosseum, and it’s not far from the Termini train station either. The surrounding streets set upon an uneven cobblestoned dream, hurried locals do their local shopping and yell greetings through open doorways. Tiny shops and storefronts line via del boschetto or via palermo, we loved to head to Piazza della Madonna dei Monti to watch kids play and old people talk. Note the pretty fountain in the center, designed by Giacomo della Porta in 1588. The Renaissance simplicity adds to the square’s charm, perfect to sit and chat, while places like the Trevi fountain can quite frankly keep their crowds. The vibe that exudes here is one that I really enjoyed, peppered with contrasts to remind you that you are, well, still in Rome. What comes to mind are moments. I passed by a tiny flower shop daily, barely bigger than a breath and filled with people grabbing this man’s fresh blooms and chatting about local politics (which is a mess). 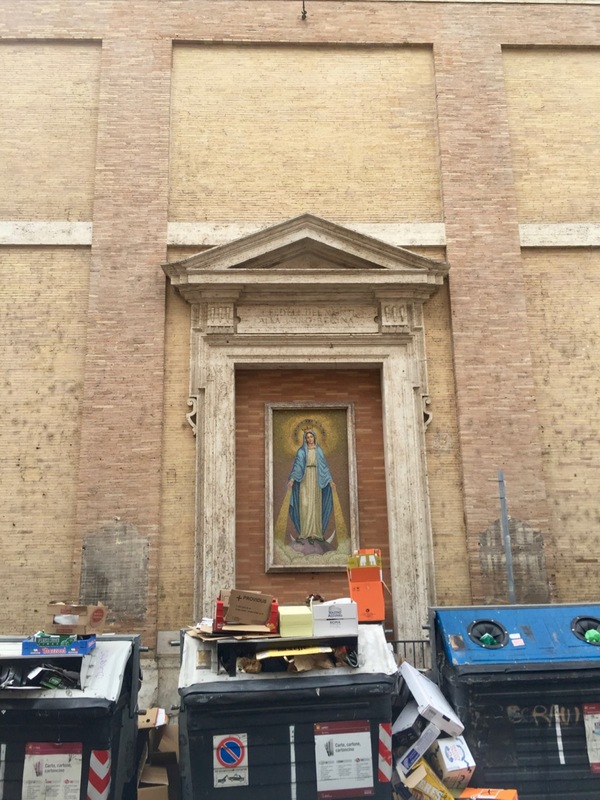 Or walking past a framed Madonna looking proudly over a huge amount of piled trash on the sidewalk. I came to appreciate the slower evenings in this area after spending a few nights in noisy Trastevere. 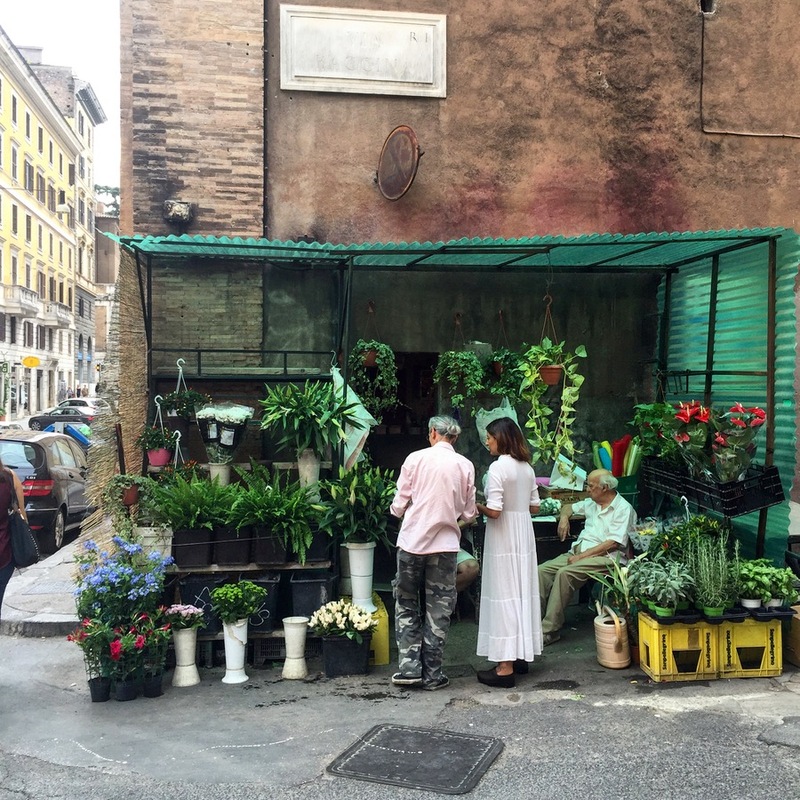 Rome isn’t just sweeping panoramic rooftop views over the garden of oranges, this is Rome too. Rome too, is a city full of problems, huge administrative ones that cause trash pile ups and the buses often to be late. However, we sort of expect that. It’s unnerving beauty makes up for the daily inconvenience, I’m always one gelato away from whispering non ti preoccupare amore..
For a true experience that leaves shivers in your spine, I absolutely recommend our two-bedroom apartment in the heart of Monti, managed by the awesome TreasureRome team. We stayed for just a few nights, but this place was brimming with stories. I fell in love as soon as Nico and I stepped through the door, depositing our bags as I hurried through each room. 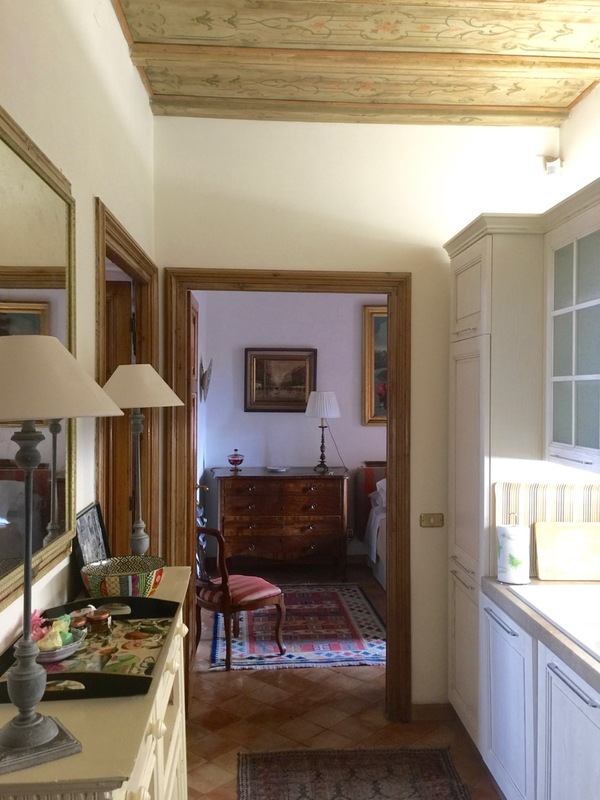 15th century frescoed ceiling wood beams, and an espresso machine ready for my three-a-day addition, oh heck yes, this would do. 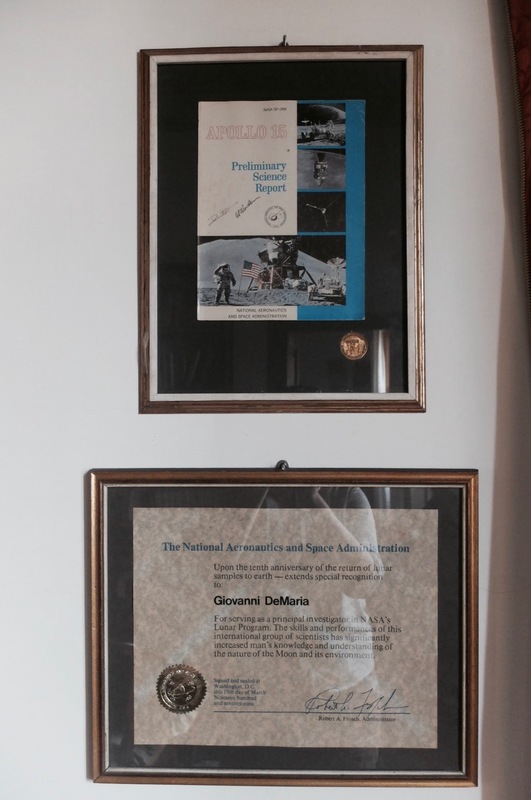 The owner, I believe a sort of scientist who’s efforts with the Apollo mission warranted a framed certificate in the dining sala (see proof below), artifacts of his life now shared with us, I dream of this place to this day. 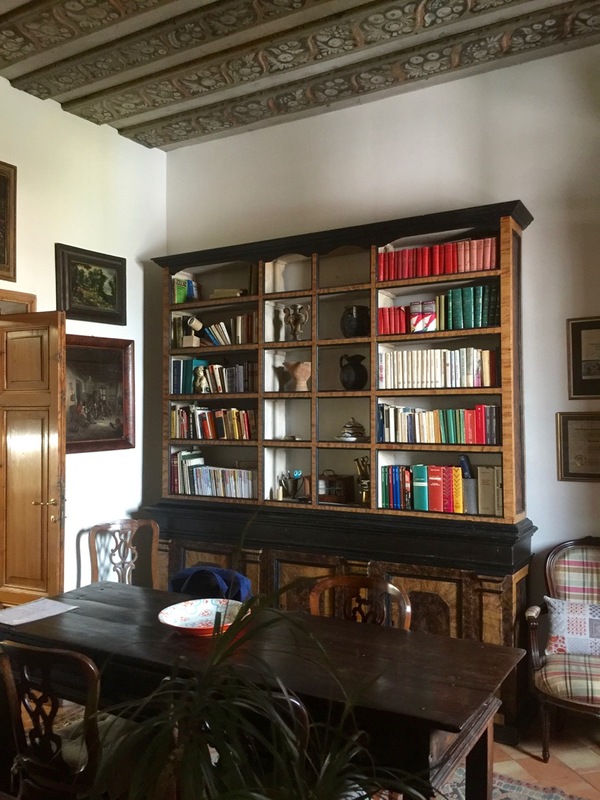 Every room is elegantly furnished, a grand piano and wall to ceiling book case in one, and a long wooden dining table, more books and a geology display in another. It made me forgive the lack of easy to find plugs. Plenty of natural light wafted through the rooms, our comfortable and cozy bedroom was a godsend after days on those cobblestones. The room even came complete with an old-school set of DVD’s. It felt like home, but a much nicer one that I actually live in myself. The WIFi was a little spotty but it worked enough for me to get the day’s work done, and the piece-de-resistance was the leafy rooftop terrace, which renters or the apartment have access too, with an exclusive area just for their guests. 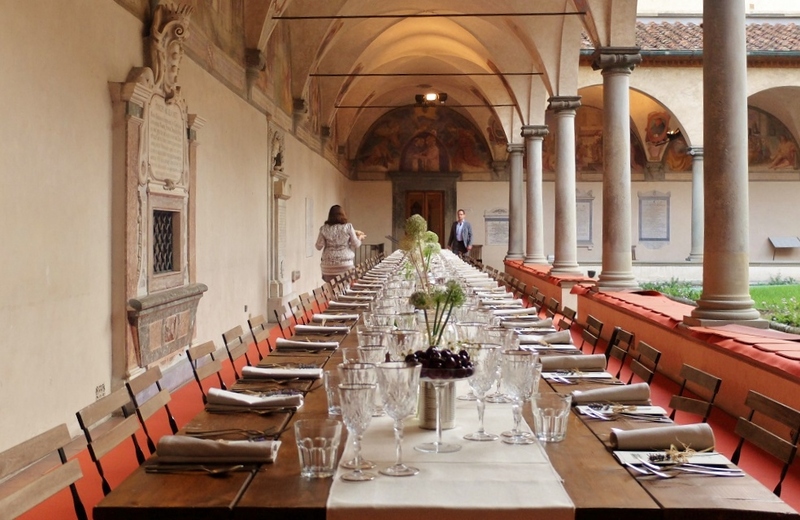 Perfect for an intimate dinner alone with Rome’s rooftops as the only other witnesses. 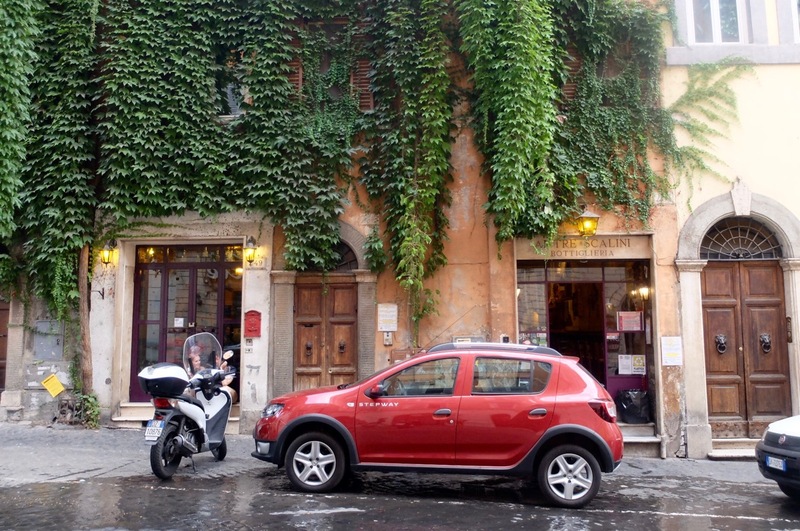 Prices range around 285€ a night through Treasurerome, which I could not recommend more as a place to book an apartment. Price wise, it is best split between two couples or a family who will appreciate the two bathrooms. Disclaimer: While Treasure Rome offered us a two-night stay, all opinions are 100% my own. I would absolutely book this place on my own dime. 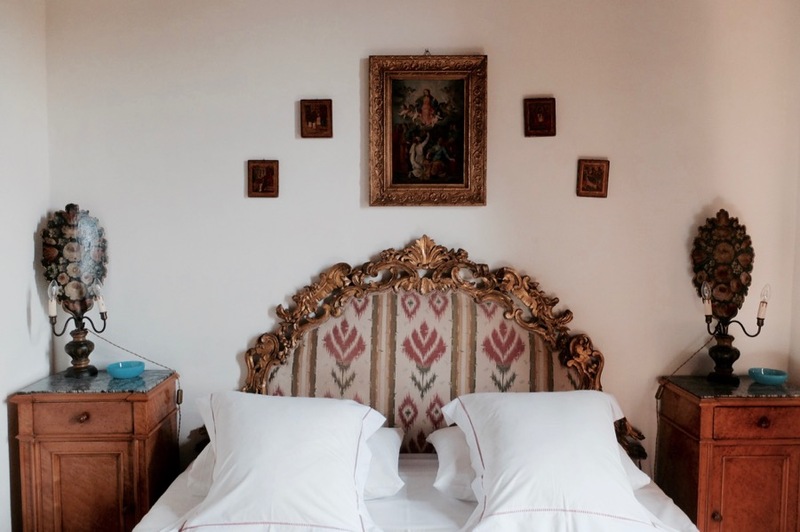 You know you’re in Italy when..
Quite possibly the most comfortable bed in Rome, GirlinFlorence approved! 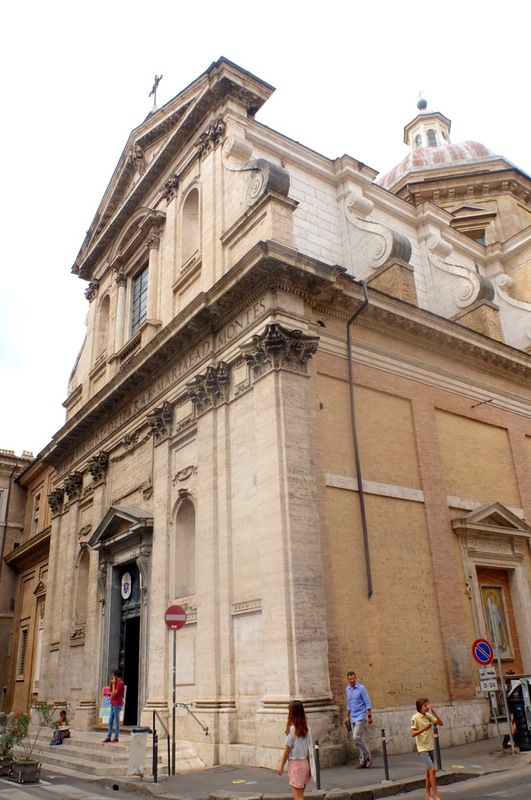 It would be hard to miss the pretty Church of Santa Maria ai Monti dedicated to the Blessed Virgin Mary, an early 17th century parish on the corner of via della madonna dei monti and via cavour. Commissioned by Pope Gregory XIII in 1580, the design was the brainchild of Giacomo della Porta (he died during its construction) reflecting a mannerist/ baroque type of architecture. Legend has it that it was built inspired by a miracle of a blind woman who regained her sight after “seeing” a Madonna near this location. Don’t miss the frescoes painted on the Dome by Cristoforo Casolani of the four Evangelists. Chiesa della Madonna dei Monti (Santa Maria ai Monti), Via della Madonna dei Monti 41. 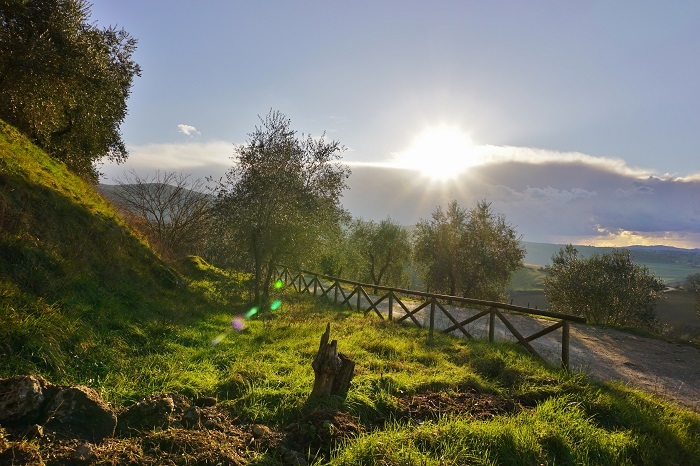 Besides the obvious “just wander” advice I could give you, there are a fews places I really recommend in Monti. 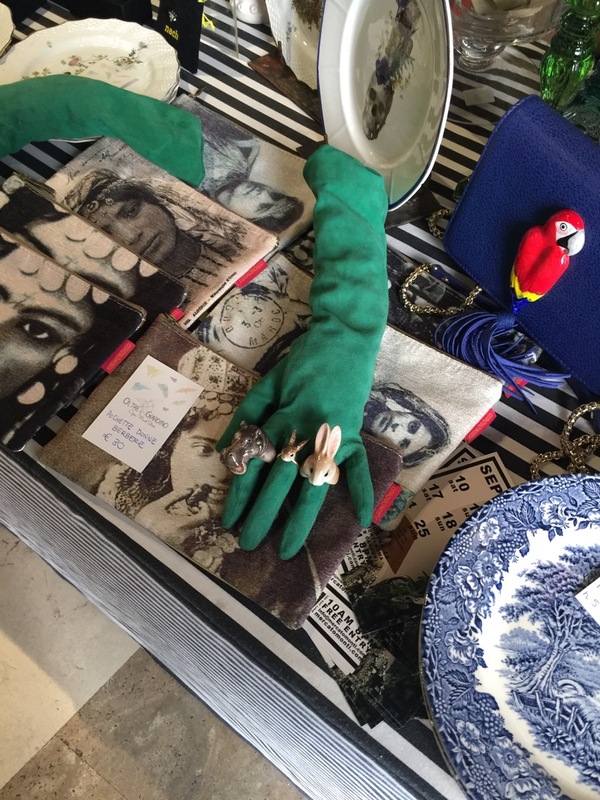 Stroll down the pretty via del boschetto where you will find gems like the shop of Tina Sondergaard. I popped in for peek at her handmade dresses which caught my eye in the window and was happy I did, this place is a dream. Hats on one side, dresses on another. Her timeless dresses embolden a playful, vintage vibe, a bit of a modern take on a Mad Men wardrobe, that remind me a lot of my friend Jennifer’s line on Etsy. Tina can adjust her dresses to fit to size (I asked, I have one of those figures that’s a bit hard to manage in Italy) and she is more than happy to chat about styles or anything in general. 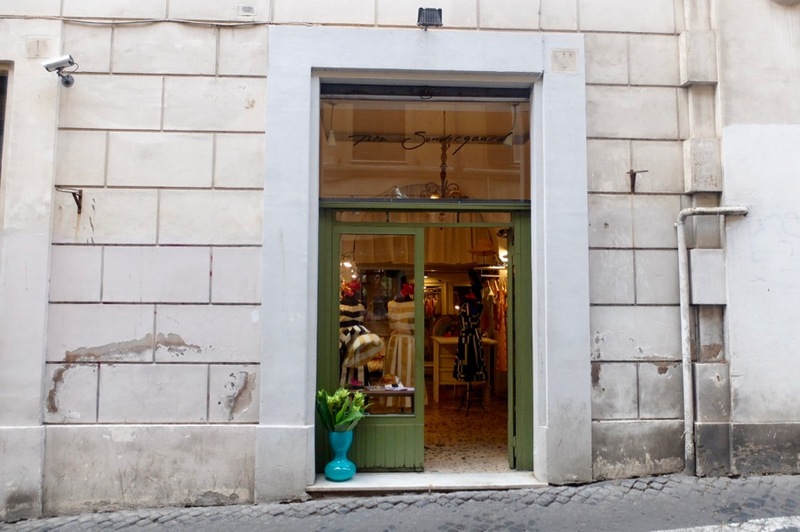 My friend Gillian, a Rome resident, wrote about her own experience dress-shopping with Tina. Tina Sondergaard, via Boschetto 1/d. 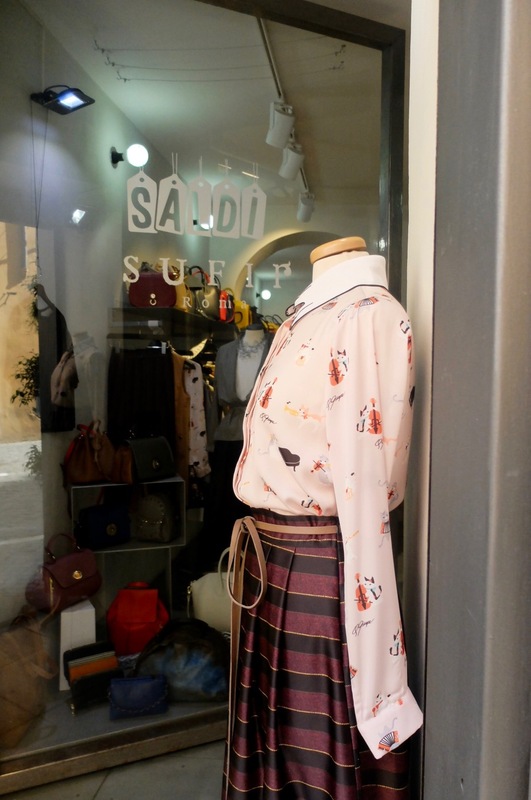 On the same street, I spotted a cute place called “Sufir,” an artisan workshop with sleek, colorful backpacks, clothes, accessories and plenty else. Sufir, Via del Boschetto, 113. Another favorite is the weekend market, “Mercato Monti” which I’ve surely mentioned in a previous Rome post. It goes without saying, if I’m in Rome on a weekend, we stop here for a browse and I always find something I love. 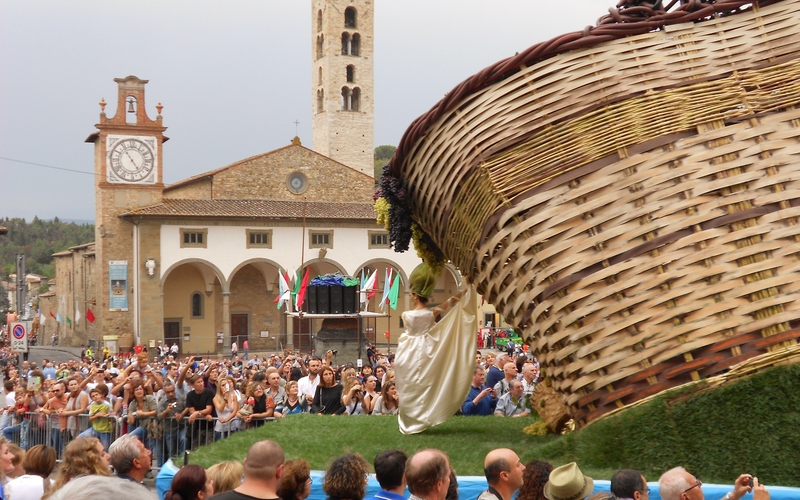 It is an urban market and the brainchild of Ornella Cicchetti, who was seeking to bring about a different kind of shopping experience to the city. They feature up and coming young designers from 10-8 respectively every weekend, you’ll find anything from quirky plate wear with skulls and rabbits, full-length gloves, wooden bowties (we bought one) to vintage book lamps (whoops we picked up one of those too) and did I say earrings made out of real chandeliers (guilty, got that too). Have a look at their website to see who made their “talent of the week,” before you go. 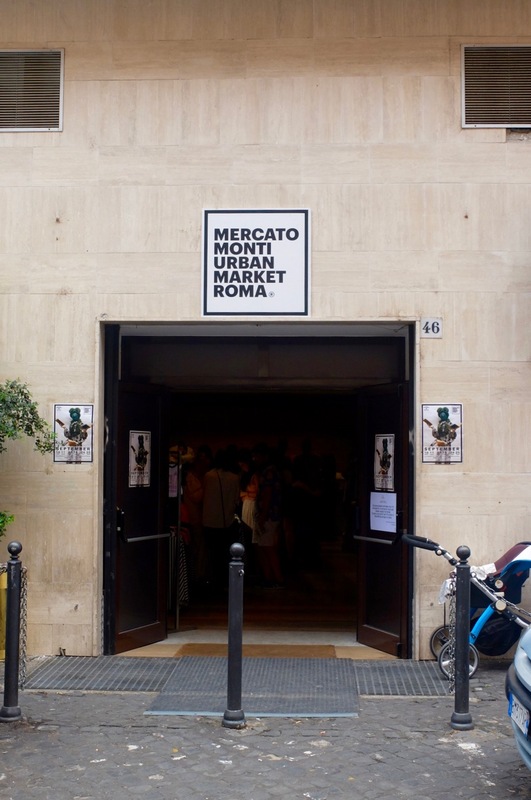 Mercato Monti, Via Leonina 46, Rione Monti – Rome. 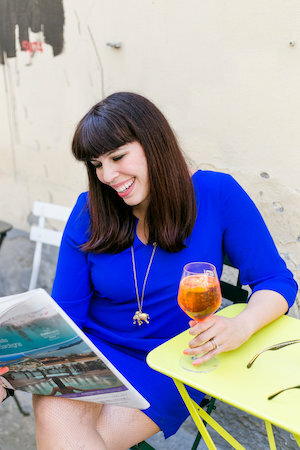 First off, my best advice is to check out the blog of Elizabeth Minchilli, who is one of the biggest food bloggers in Rome, and also happens to call Monti home. She certainly will know more than me in this department and we used her website plenty of times as a reference. However, we did get the chance to sample a few local spots (including Indian takeout), and here are some of my favorites. 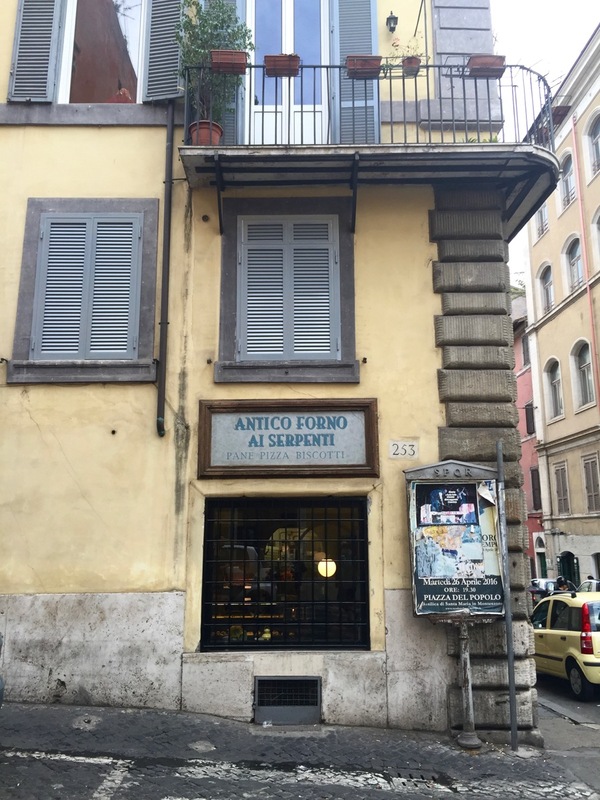 Breakfast was almost always from Antico Forno ai Serpenti on via dei serpenti, more out of convenience than anything we found particularly good there. Skip the average buffet and get a quick cappuccino instead. For something truly special, go to Regoli pasticceria, a bit further away in Esquilino, it’s totally worth the walk. I’d go for the classic Roman treat maritozzo con panna, the kind of pastry bomb that is worth the double workout you’ll need after. 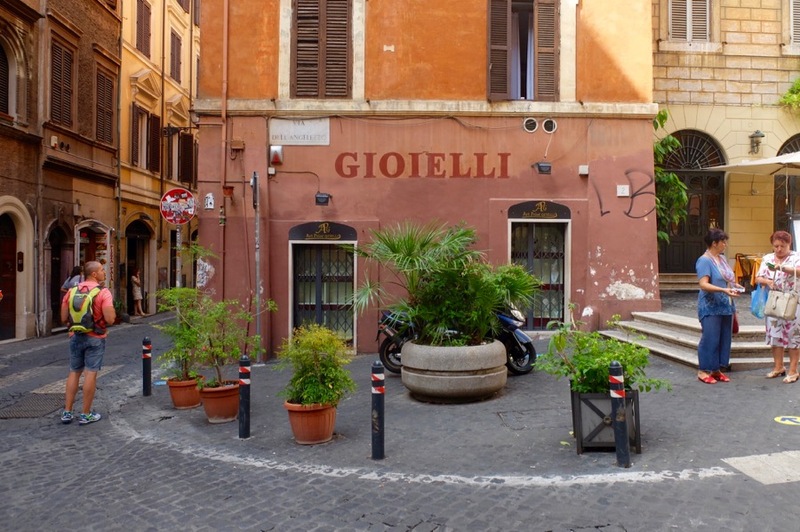 Natalie from An American in Rome captures the place perfectly. Gelato we did at the famous local artisan gelateria, Fatamorgana (favorites include basil, cherry, you get my drift). For a drink, I recommend a stop at the Libreria Caffè Bohemian, a cute spot on Via degli Zingari that offers a drink and apericena for 8€ among bookshelves and vintage furniture. You’ll find all of these spots saved on the google map below. For dinner, we had a fabulous pizza night (see below), other recommendations include La Barrique, Ai Tre Scalini, L’Asino D’Oro, and La Carbonara. Pizzeria Alle Carrette. An old school pizzeria with the attitude to match. 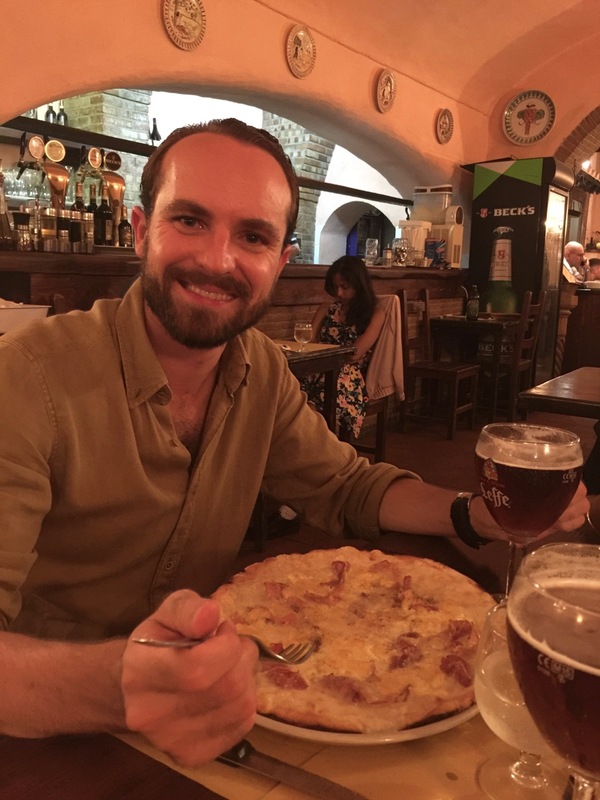 Why you won’t get cuddle table side, you will get to try a steaming hot pizza straight from a wooden oven, crispy and light and covered with toppings like “carbonara,” the famous egg, prosciutto, cheese sauce you often find in Rome for pasta. We also tried some fried everything (artichokes) and washed it all down with slugs of beer — if you’ve been in Italy longer than a nanosecond, you realize this frothy drink pairs wonderfully with pizza. 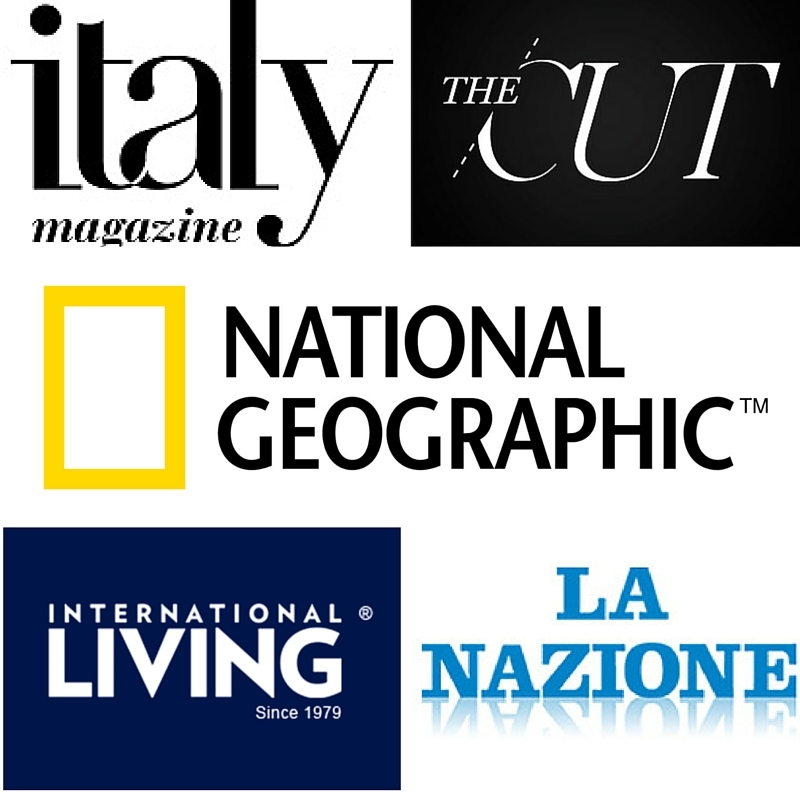 address: Via della Madonna dei Monti, 95, 00184 Roma. Open daily 10:30-3:30pm, 7-12am (Wednesdays open only 7-midnight). Affordable and not fancy. Excuse the horrific lighting but it sort of represents exactly what sort of place this is. Simple, no-frills yet hits the spot. See that Frenchman smile! You might be thinking “who eats Indian food in Rome?” and why I normally would tout all sorts of reasons why going local is the only way to go, we had one of those nights that I just wanted to have an ethnic craving subsided as we lazed around our awesome rental apartment. Luckily across the street was a rather garish looking awkwardly-named Indian joint, Indian Affairs, with more purple than I was prepared to deal with, so we walked in and asked if we get the food to go. Within 30 minutes I was diving into butter chicken and steaming naan, cumin rice to follow. Seriously, I don’t know what my life was like before Indian takeout and I’m not afraid to admit that on this blog. 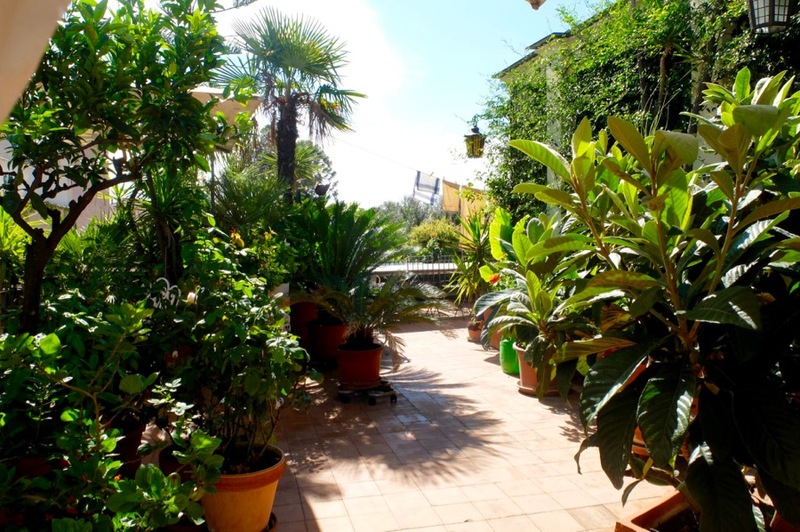 ​ ​​ ​Looking for a place to stay in Rome? Love this article! I wish the apartments in this area were affordable for purchase and I hope the blouse decorated with musical cats is still at Surfir in May! Thank you Sandy, I appreciate your comment. I wish they were affordable too, and where I live in Florence too ;-). That blouse sounds lovely btw..
Hope you don’t mind that I brought this to your attention. Thank you again for your great reports and observations. You are a gem for catching that and letting me know. I really appreciate it! A grand piano!!! That’s impressive! Glad you enjoyed your time in Monti, such a great neighborhood! Here you go! They changed the page so I should update that now ;). Thanks for the reminder!